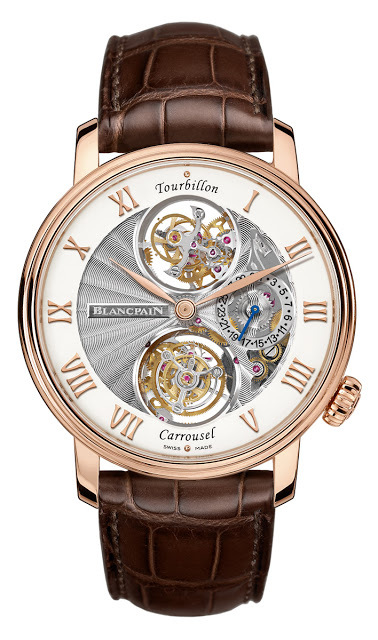 Baselworld 2013: Blancpain Tourbillon Carrousel – is more better? 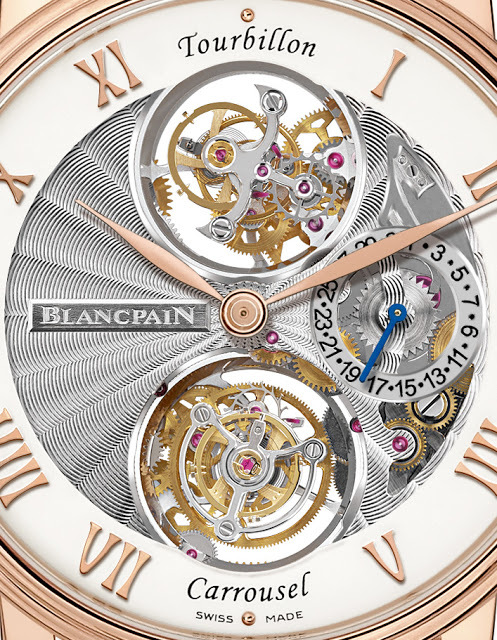 The Blancpain Tourbillon Carrousel has both a tourbillon and a carrousel. Both are link by a differential, and rotate on the same plane. 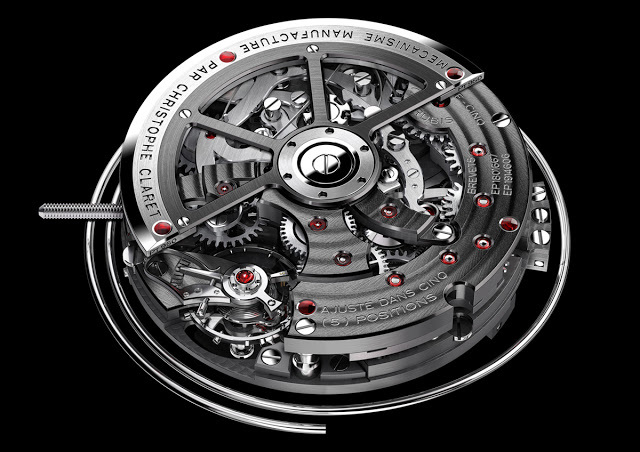 At Baselworld 2013 Blancpain unveiled an oddity, the Tourbillon Carrousel. 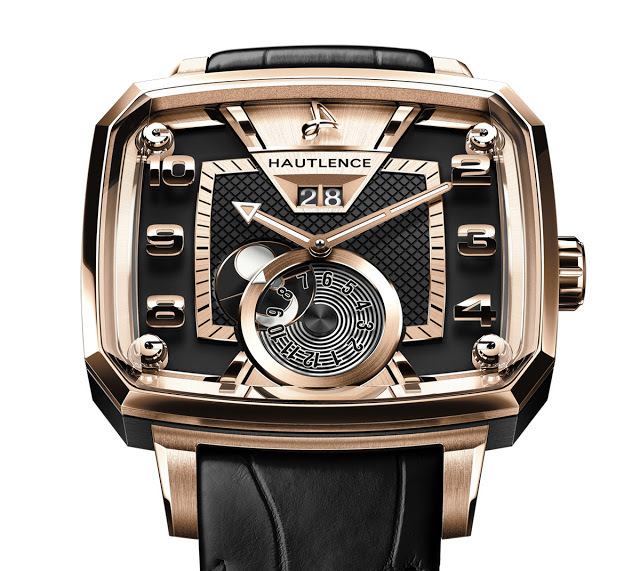 Its name stems from the fact that it has a tourbillon and a carrousel (or karussel), with the rate of each averaged out by a differential. Given both the tourbillon and the carrousel are intended to average out the effects of gravity in a vertical position, this seems a bit redundant. 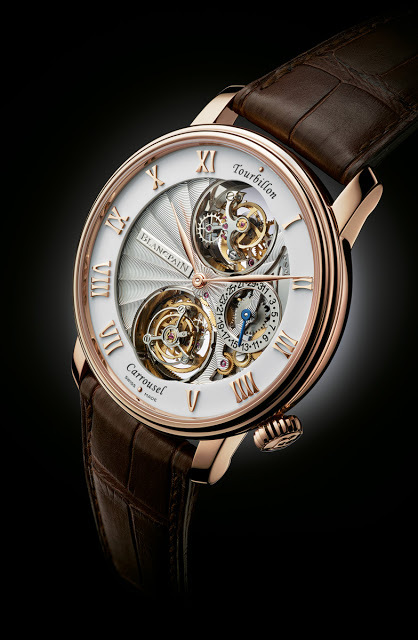 The tourbillon and carrousel – both of which have silicon hairsprings – are rotating on the same plane, which means there should be little difference between the two. Contrast this with the Greubel Forsey Invention Piece 2, which has twin inclined tourbillons which are on different planes, ditto for the tourbillon-less Double Balancier 35° and the Roger Dubuis Excalibur Quatuor. Though they have a similar purpose, the tourbillon and carrousel are different in construction. A tourbillon carriage is linked to the same gear train as the escapement, so if the gear train stops, the entire system stops. On the other hand, the carrousel carriage has its own independent gear train, separate from the escapement, which means it can go on ticking even if the carriage is stopped. Aside from the tourbillon and carrousel on the front, there is also a date display at three o’clock. 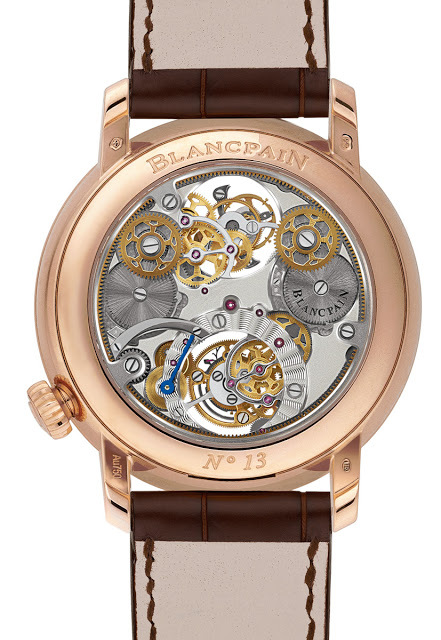 And the dial is circled by a white, grand feu enamel chapter ring with applied rose gold numerals. 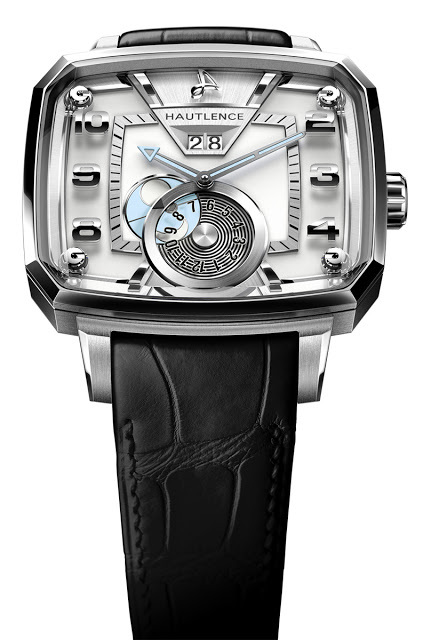 Helpful labels are included: “Tourbillon” at 12 o’clock and “Carrousel” at six. 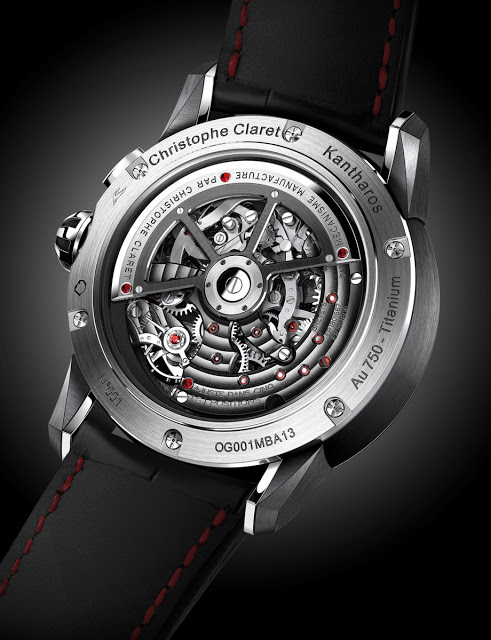 Christophe Claret continues to develop its own line of timepieces with the unveiling of the Kantharos, a monopusher chronograph equipped with a constant force mechanism, as well as a gong that chimes when the stopwatch is used. 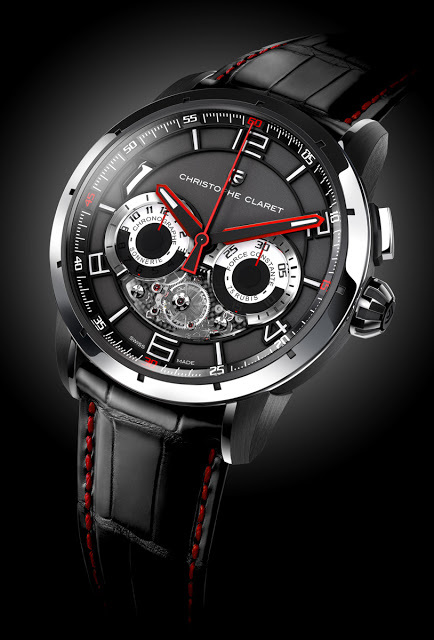 Christophe Claret was once the go-to guy for complicated movements like minute repeaters, but as the number of movement specialists have multiplied and brands move development in-house, Christophe Claret has begun to concentrate on retailing watches under its own brand name. The latest is the Kantharos, an elaborate chronograph made in-house by Claret. While the Kantharos is technically interesting, it seems to be a hodge podge of unrelated functions. 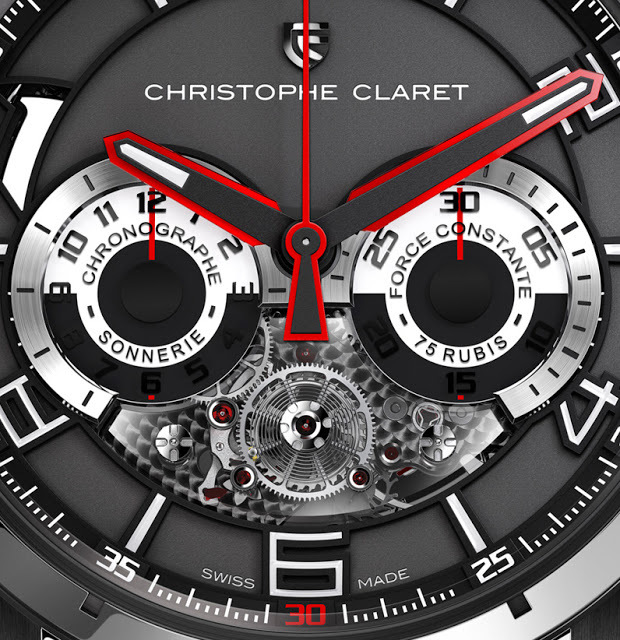 As with some of the chronograph movements Claret has made before, the automatic cal. 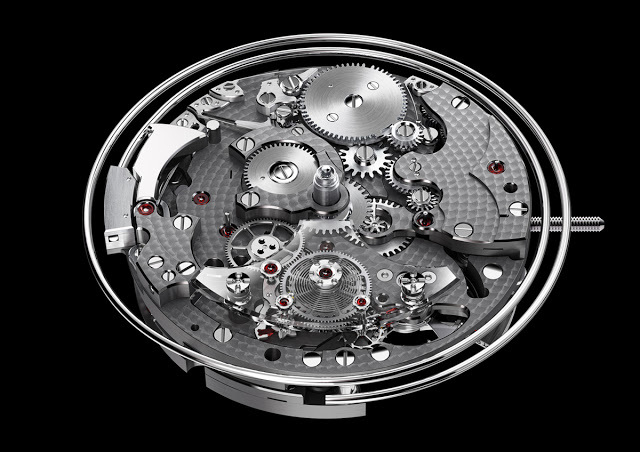 MBA13 inside the Kantharos is equipped with a striking mechanism linked to the chronograph. 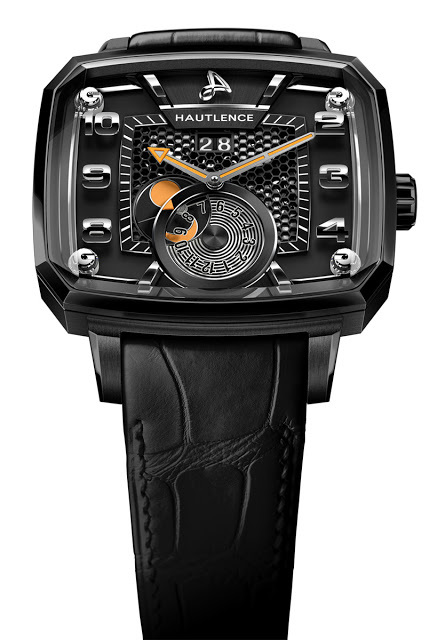 It has one cathedral gong – about one and a half times as long as the movement perimeter – and one hammer visible on the dial at ten o’clock. This chimes each time the chronograph starts, stops or is reset. Named after a prize winning race horse, the Kantharos is also equipped with a constant force mechanism, which can be seen on the dial beneath a sapphire bridge. But given this watch has a vertical clutch mechanism for the chronograph, there is minimal loss of amplitude when the chronograph is engaged, which makes the constant force escapement seem unnecessary.